One cancelled flight, four mostly-uneventful flights, 14 hours driving, and 40 hours on ferries later we made it to Palma! From Charleston and San Francisco to London, to Santander, to Barcelona, to Palma, it was quite a trip with the van, coachboat, and 49erFX in tow. After the events in Miami and Clearwater, we drove 5 days across the US and had to laugh when we found ourselves driving across all of Spain just two weeks later. Luckily that was only a one-day drive! For the first two weeks of training in Palma, we had the privilege of being coached by Ramon Oliden. Our tacks and gybes were torn apart and analyzed so we could polish every single step. After training in all different conditions, we raced in the Arenal Training Camp Regatta. This was a wake up call. We were sailing the boat really well, but not racing it. After no wind on the second day, three days of racing became only two, and we finished near the bottom of the fleet. Determined to put the performance behind us, we reevaluated our training priorities and continued to train for the two weeks before the Princesa Sofia Regatta. Work hard, but also “work smart”! By some twisted law of nature, the first day of the Princesa Sofia Regatta was sailed in conditions that we never saw at all in the past four weeks. The difficult wave direction and size made holding a space on the start line challenging, and the extremely puffy and shifty wind direction necessitated very quick tactical decisions. Some boats capsized to windward because of the dramatic drop in wind strength or direction. We spun a penalty turn in the first start of the regatta, but we kept in mind the very shifty condition and despite the horrible start we sailed ourselves not just back into the race, but all the way into third! With these high spirits we finished the next race with a seventh place. On the second and final day of qualification, we had a poor first race but corrected our mistakes in the second race to earn another 3rd place finish. With three top-10 scores and one discard, we were in 7th overall, easily qualifying for Gold fleet. We were proud of how we managed the very tough conditions and always stayed ready for any change in conditions. 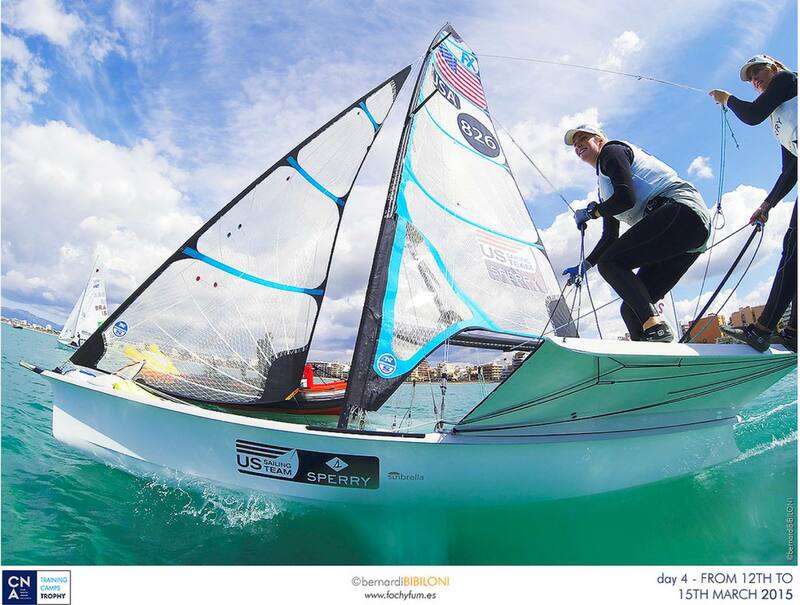 The final three days of racing were sailed in Gold Fleet with the top 25 boats. Throughout the series we kept the mentality of having nothing to lose and everything to gain. Our focus for the final series shifted to more of an offensive mentality, of using our boatspeed as a weapon and getting off the start line exactly where we wanted to be. Out of the nine races in the final series, we had 5 top ten finishes, one 12th, and 3 finishes towards the back of the fleet. Whether these were because of a bad start, a breakage (Paris’s trapeze bail broke in half during the race, resulting in a capsize), or tough tactical decisions that didn’t go our way, we learned from them. Nevertheless, we finished the regatta 14th overall, moving up from 18th place after the fourth day of racing. The final scores were still very tight with points as we were 10 points from 8th and even less from making the medal race (top 10). We could not be happier with our improved performance! After becoming full time athletes at the end of December and making the hard decision to delay school (Helena Master’s and Paris Bachelor’s) we have had the hours and days to dedicate to training and we’ve stayed focused on how we can best improve physically, mentally, and skillfully as sailors. What does this all mean for the future? 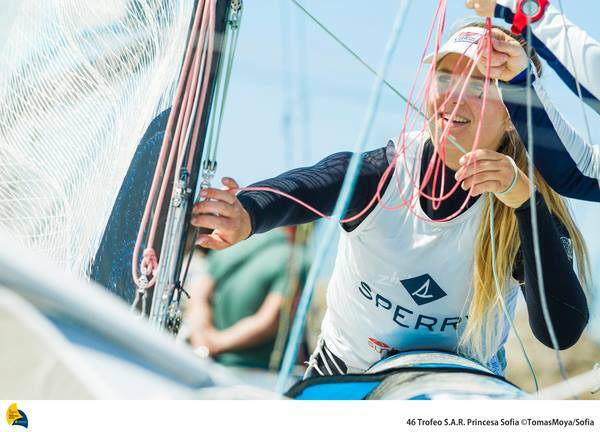 We are very happy to announce that from the combined performance from Sailing World Cup Miami and the Princesa Sofia Regatta, we as a team have qualified for the Olympic Test Event in Rio de Janeiro this coming August! Exactly one year before the Olympic Games, it serves as a practice run-through for the potential athletes and the organizers. We are more than excited to compete in it! However, we need your help to continue our upward trend as coaching and equipment costs are the only thing in our way! Please visit our Support Us page to see how you can make your mark on our Olympic journey! 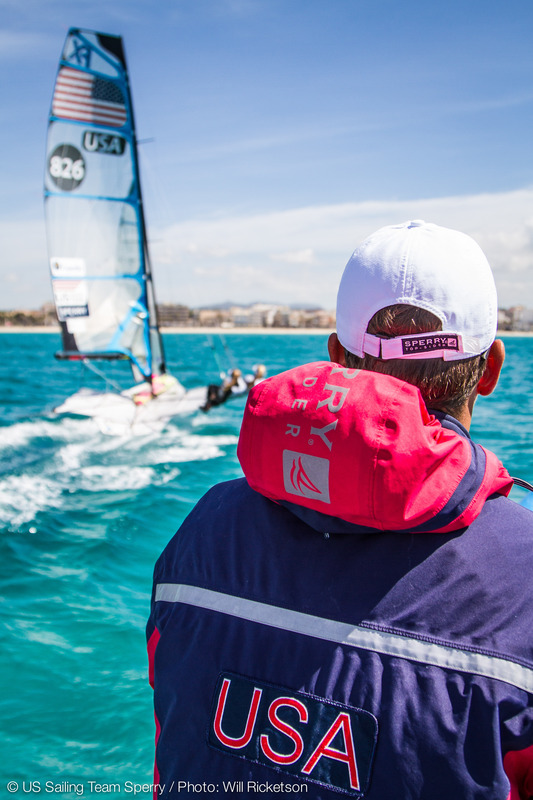 Now we are off on the next adventure in Hyères, France for the ISAF Sailing World Cup Hyères starting on April 22nd. Stay tuned on Facebook for the next updates about our training and the event. And to YOU – we would like to remind you all how grateful we are for the support and encouragement that you give us each and everyday. We wouldn’t be here as a team without everyone! Thank you!! Great going, girls. Hope you’re finding time to learn some Portuguese.